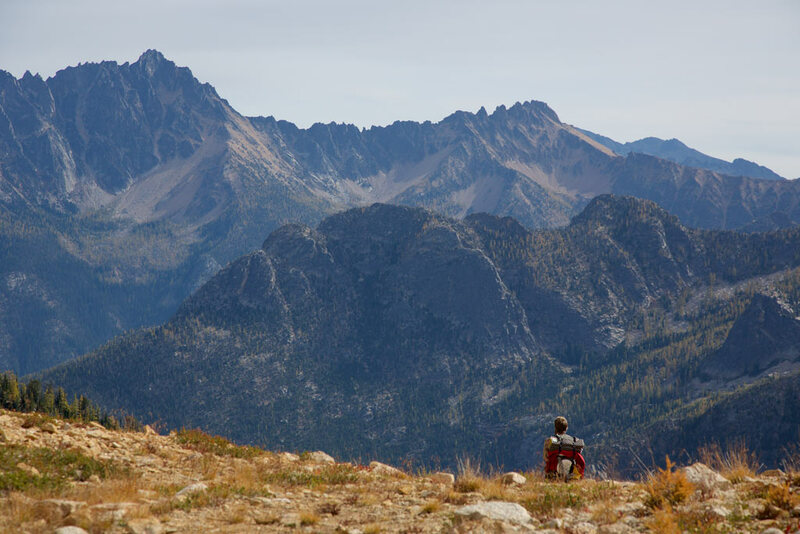 The Pacific Crest Trail, in its vision and reality, is more than just a trail—it is an experience. This page describes the history of the vision and what makes the PCT experience so unique. The spirit of adventure springs ever anew in the hearts of Americans, young and old. In no way is it better satisfied than in the exploration of unfamiliar terrain or in the discovery of the beauties of nature. Long-distance trails can provide unparalleled opportunities for such adventure and such satisfaction. Importantly, the study acknowledged that such a vision could not be realized unless landscapes were protected: “The entire length of each national scenic trail, together with sufficient land area on both sides to safeguard adequately and preserve its character, should be protected in some form of public control.” This was in keeping with the original vision of the PCT. In the 1930s, Clinton Clarke envisioned a path linking the high ridges of the great Pacific mountains “traversing the best scenic areas and maintaining an absolute wilderness character.” Clarke’s vision inspired scores of young volunteers, who mapped the route in the late 1930s. The deep citizen involvement in the viability of the PCT and other future National Scenic Trails caught the attention of Congress, which stated in the NTSA that volunteer citizens should continue to be integral to trails’ planning, development, maintenance, and management. Over 2,600 miles in length, the PCT is the longest continuously developed hiking and equestrian experience in the United States. 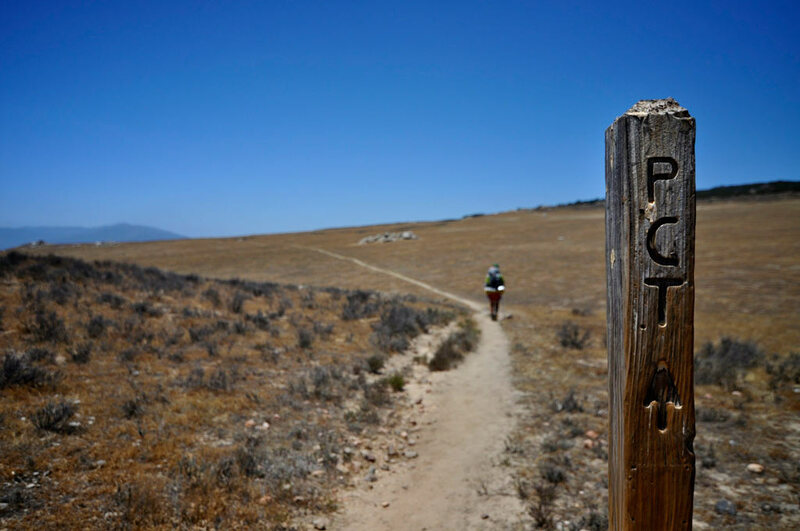 The PCT is renowned as the most remote of our National Scenic Trails and passes through more miles of designated Wilderness than any other National Scenic Trail. As such, it takes a good deal of its character as a world-class hiker and equestrian resource from the opportunities it provides to experience landscapes that appear pristine, wild, and free from development by humankind. The PCT also boasts the greatest elevation changes of any of America’s National Scenic Trails, passing through nine of North America’s ecoregions, including high and low desert, old-growth forest, and alpine country. The PCT Comprehensive Plan states that the Trail should be routed to “display a great variety of natural beauty and expanse of panoramic scenery from a position of height.” The Trail was intentionally routed through as many protected areas as possible, envisioned largely as a showcase of diverse and untrammeled ecosystems. From desert to glacier-flanked mountain, from meadow to rain forest, the PCT symbolizes everything there is to love—and protect—in the Western United States. The routes of national scenic trails should be so located as to provide for maximum outdoor recreation potential and for the conservation and enjoyment of the nationally significant scenic, historic, natural, or cultural qualities of the areas through which such trails may pass. They should avoid, insofar as practicable, established highways, motor roads, mining areas, power transmission lines, existing commercial and industrial developments, range fences and improvements, private operations, and any other activities that would be incompatible with the protection of the trail in its natural condition and its use for outdoor recreation. The Trail as an invitation into nature. An established route showcasing significant features of natural landscapes for the user’s edification. Wild scenery of the highest caliber and integrity. Extolled as spiritual by many classic advocates of wildlands (Bob Marshall said wildlands afforded “pure aesthetic rapture”), these landscapes inspire awe for their immensity, timelessness, and self-organized complexity. Refuge from industrialized civilization and its sights, sounds, and smells. Non-mechanized travel on foot or horseback. Simpler locomotion from simpler times, a more natural pace that allows all our senses to work. The freedom of an unconfined type of recreation. Therapeutic effects of elevated “crest” views and naturally open landscapes, dwarfing human concerns within the perspective of a larger framework. Self-forgetting and humility, along with a sense of belonging to the natural whole. Solitude and detachment from routine social pressures and distractions, providing the setting for inward reflection and self-discovery. An extended retreat. 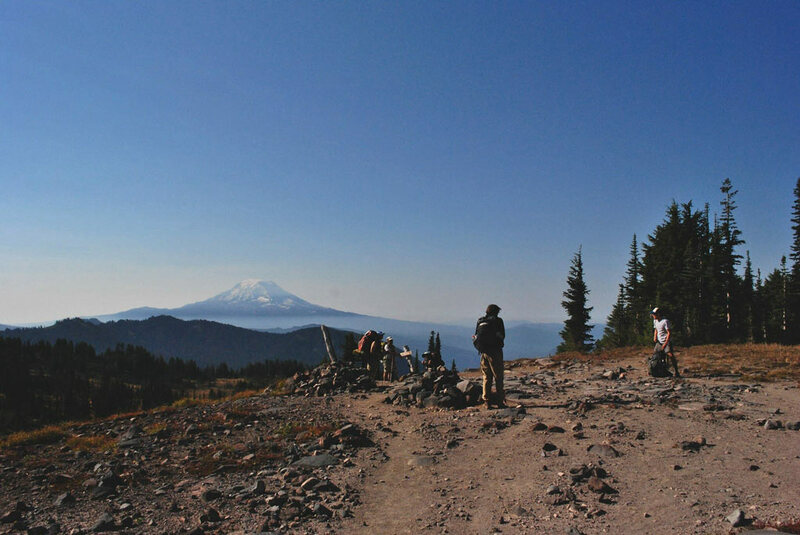 National Scenic Trails were conceived as long-distance trails providing rare opportunities for extended backcountry trail travel, stretching for days, weeks or even months. Physical challenge and personal accomplishment. Self-reliance, honing one’s primitive travel and survival skills. Taking part in an iconic journey. Reminiscent of pilgrimages, vision quests, or the struggles of early American explorers and pioneers to find new beginnings in the landscapes of our nation. Forming meaningful bonds with fellow travelers and the rest of the trail community. Discovering beauty in how the trail affects people. Cultural resources reaching into the history of the American West, including sites sacred to Natives, landmarks for prospectors, sheepherders, and pioneers, historic lodges and lookouts, and, in many areas, the engineering wonders of the treadway itself. Citizen ownership of, and investment in, resources of national significance. The pride and passion of citizen stewardship of the Trail and its landscapes. The satisfaction of bequeathing to future generations wild lands and their riches. Clean water and air, thriving wildlife, and healthy ecosystems—the value of their economic services. Vicarious journeys and option value. Countless people who never set foot on the PCT nonetheless derive satisfaction from experiencing it through photos and accounts by others. For them, there is value simply in knowing it is possible to walk from Mexico to Canada on a continuous primitive trail. The National Trail System Act states that each National Trail is designated for its unique nature and purposes. Specific conditions are necessary to realize the PCT’s purposes. 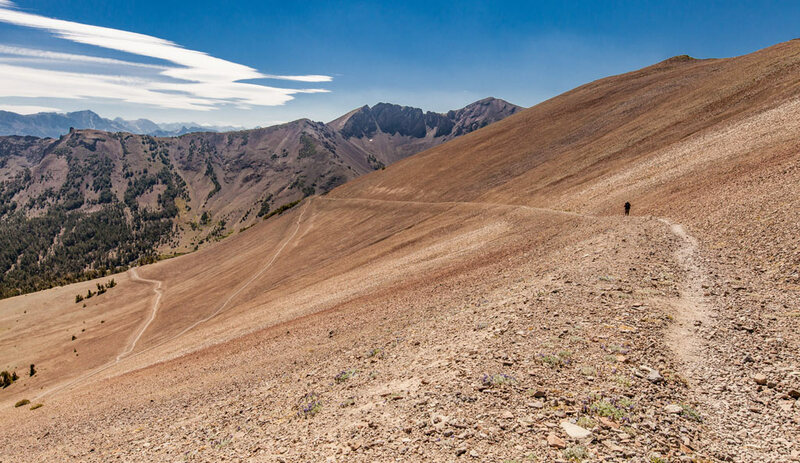 Favoring landscapes that appear wild and free from development by humankind, the Pacific Crest Trail’s nature and purposes are to provide for unparalleled journeys on foot or horseback along the high and spectacular spine of the Pacific mountain ranges. Primitive forms of travel hearken back to simpler and more rugged times. The trail’s protected corridor offers a sense of solitude and closeness with nature, evoking extended retreat from civilization, even if venturing out only for a day. To ensure the conservation of the PCT’s nationally significant wild, scenic, natural, and heritage resources, and to maximize its intended recreation opportunities, the trail’s entire length, together with sufficient land area on both sides to safeguard and preserve its character, should be publically owned, permanently protected, and managed as a single entity across jurisdictions. The investment of citizen stewards offers another critical thread of continuity from Mexico to Canada. The PCT experience should favor panoramic views of undisturbed landscapes in an uncrowded, non-mechanized, tranquil, and predominantly natural environment. It should feature diverse, untrammeled ecosystems and historic high country landmarks while avoiding, as much as possible, road crossings, private operations and other signs of modern development. Trail facilities such as campsites, water sources and other amenities for hiker and pack-and-saddle use should be simple. Such conditions will provide for the nature and purposes for which the PCT was established. This Policy was adopted by the PCTA Board of Directors on 7/26/15 at their meeting in Ashland, Oregon. This policy, approved 7/26/15, supersedes the previous Statement of the Trail Experience (October 2013). Elkinton, S., Caproni, L., Hoeflschweiger, J. (2008). The National Trails System: A Grand Experiment. Washington, D.C.: USGPO. Exec. Order No. 13195, 3 C.F.R. 743 (2001). Marshall, R. (1930, February). The Problem of the Wilderness. Scientific Monthly, 30 (2), 145.